Supergirl is captured by Rampage aka Caren Falqnerr. Falqnerr recites her history to the imprisoned Supergirl, who looks for a way out. However, just as Rampage is about to commence attacking Supergirl in her vulnerable position, Alex and the DEO arrive to provide assistance. Rampage runs off at the prospect of tackling the lot of them, causing a flood-in as she does. Supergirl is able to save them all except for Rampage who is swept away in the strong waters. Story - 4: Every so often it's fine to indulge in a "guilty pleasure" here and there. 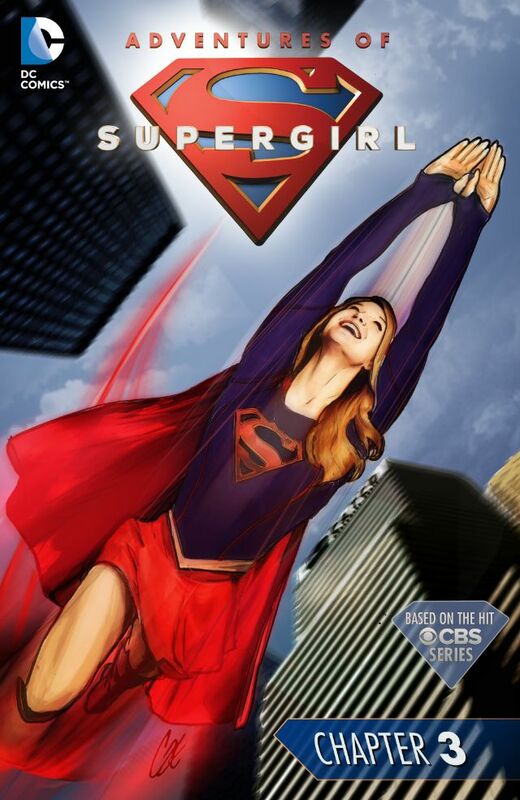 The Adventures of Supergirl is tantamount to just that. It's a reader friendly comic, that is also accessible to kids, something that is no longer the norm for characters created for children, complete with story beats that match up almost exactly to the television series. The theme of "Stronger Together" is on full display, which may be an impediment for readers not familiar with the importance of the them to the television series, or who just don't find it very credible that Supergirl would need aid to escape a cage... and from Rampage nonetheless. Still, thus far, The Adventures of Supergirl is a perfect companion piece for those wanting a wee more of the Supergirl than can be had on a given Monday night. Enjoy. Art - 4: Bengal tells a nice dual story, as Rampage narrates her origins, while Supergirl looks to navigate a way out of her confinement. Deftly done.